Bigger than many countries, Texas is diverse, vast, and welcoming. Texas is home to some of the nation’s largest and most recognizable cities, like San Antonio, Houston, Austin, and Dallas. They’re all vibrant, fun-loving, and extraordinarily friendly cities. 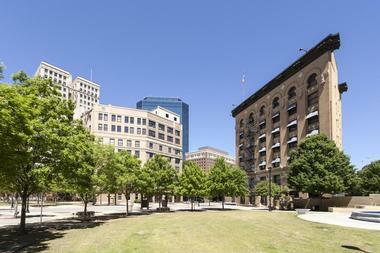 Cities like Austin and Dallas boast rich culture and arts districts to explore by day and energetic nightlife scenes. 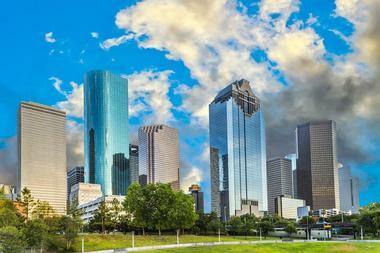 Houston is an energetic metropolis in southeast Texas, near several bays and the Gulf of Mexico. Downtown is packed with high-rises, picturesque parks, fascinating museums, and sensational restaurants. It’s a city where starched jeans, worn out boots, and trusted pick-up trucks reign supreme. From packed nightclubs to trendy cocktail lounges to the neighborhood pub, the entertainment scene is renowned. Travelers looking for fun and exciting things to see and do will have no shortage of opportunities. From a tour of Space Center Houston to a stroll through the marvelous Museum District to a visit at the city’s famed Houston Zoo, they’ll enjoy it all. San Antonio is a sprawling south-central Texas metropolis that is home to a number of the state’s most famed historic sites. 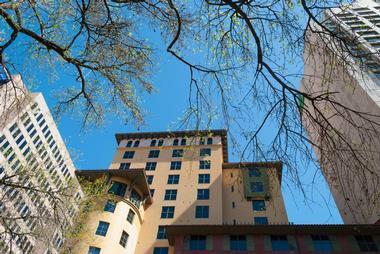 Travelers visiting San Antonio are more than likely coming for the River Walk or the Alamo, but the city offers so much more. The Mission Hike and Bike Trail follows the San Antonio River up to the four missions, it’s both an informative and scenic way to spend the day. Less than a 30-minute drive from the city, visitors will find the Natural Bridge Caverns; here they can enjoy two different types of tours; or give the Canopy Challenge a try – a course of ladders, platforms, and ziplines 60 feet off the ground. 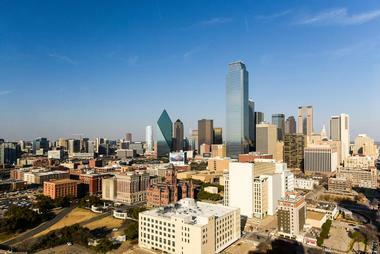 Dallas is a bustling city in north Texas with a long history rooted in farming, ranching, and oil production. Post WWII, Dallas became home to a number of large banks and insurance corporations, making the city an important financial and business hub within the state of Texas. Visitors will appreciate the city’s large variety of architecture, like the Gothic revival Kirby Building, or the Neoclassical and Victorian homes on Swiss Avenue, and the postmodern Perot Museum of Nature and Science. Museum buffs will have plenty to check out, including the Sixth Floor Museum at Dealey Plaza, Dallas Museum of Art, and Frontiers of Flight and the Cavanaugh Flight Museum. 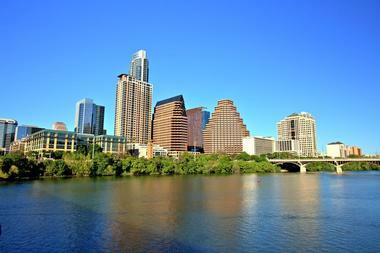 Austin is the capital city of Texas. It’s positioned where the winding Colorado River leaves the Edwards Plateau. Austin is an important cultural, educational, and administrative center; the city is home to the Lyndon B. Johnson Library and Museum, the University of Texas, and the Bullock Texas State History Museum. 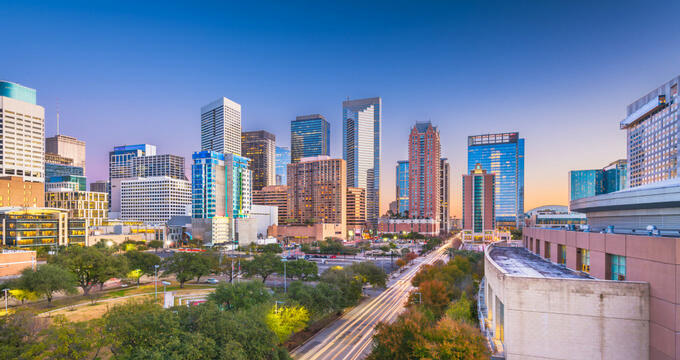 The city also features a number of other fascinating attractions that include the red-granite State Capitol, Lady Bird Lake, Umlauf Sculpture Garden and Museum, and Mexic-Arte Museum. Austin offers plenty of green spaces and picturesque parks for visitors to enjoy, such as the 351-acre Zilker Park, with its volleyball courts, riverside walking trails, and disc golf course. Approximately 35 miles west of Dallas, Fort Worth has long been overshadowed by its bustling sister city. Visitors will be surprised at just how culturally diverse, entertaining, and beautiful Fort Worth really is. The city offers everything from live music shows to energetic rodeos to fascinating and educational museums to western-themed shopping. Fort Worth provides a number of opportunities for locals and visitors to get out and enjoy the outdoors, such as horseback riding, enjoying a picnic in one of the city’s picturesque parks, or exploring the local botanic gardens. Some of the city’s other attractions include the Fort Worth Stockyards, Fort Worth Water Gardens, and Sid Richardson Museum. El Paso is a city at the very western tip of Texas, along the Rio Grande River, Mexico, and New Mexico. The city’s vibrant desert landscapes feature a large variety of plant and wildlife. The Franklin Mountain State Park provides an excellent setting for enjoying some outdoor recreation and beautiful scenery; the park’s Wyler Aerial Tramway will take visitors up to Ranger Peak, where they can take in magnificent views of Mexico and the city below. The city is brimming with cultural and historic attractions that include El Paso Mission Trail, Hueco Tanks State Park & Historic Site, and El Paso Museum of Archaeology. 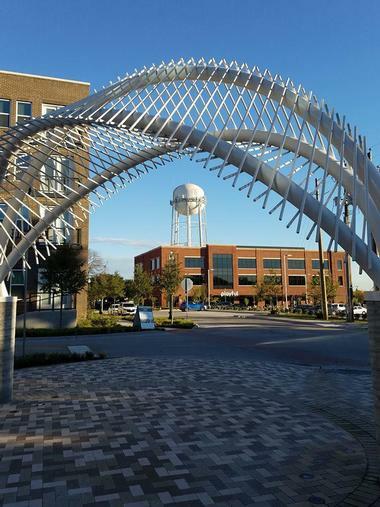 Arlington is a charming city in northeast Texas, between Fort Worth and Dallas. The city is home to the sprawling college campus for the University of Texas at Arlington, which is equipped with a modern, state-of-the-art planetarium. River Legacy Parks offers several scenic trails that wind through beautiful hardwood forests, providing magnificent views of local wildlife. The park also features the River Legacy Living Science Center, which has terrariums, aquariums, and interactive exhibits. There are several other popular attractions that bring in droves of visitors to Arlington each year, including Six Flags over Texas, AT&T Stadium, and Globe Life Park. 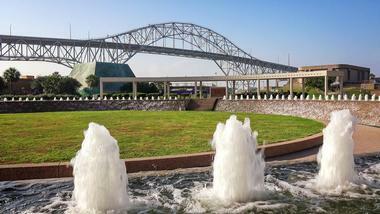 Corpus Christi is a southern Texas metropolis that is situated along the shimmering waters of the Gulf of Mexico. The city is tucked away in Corpus Christi Bay, with its beaches sheltered by Mustang and Padre Islands. Padre Island National Seashore is home to endangered Kemp’s ridley sea turtles and a number of migratory birds. Visitors will want to check out the harbor front Texas State Aquarium, equipped with a shark exhibit, aquatic nursery, and touch pools. The city offers a wide range of attractions for visitors to check out, such as the South Texas Botanical Gardens and Nature Center, The Art Museum of South Texas, Bob Hall Pier, and Texas Surf Museum. Plano is an attractive city in north Texas, located between prairies and rolling grasslands, and the bustling city of Dallas. This laid-back city offers everything from mouthwatering BBQ joints and Texan smokehouses to captivating heritage museums that explain the secrets of the agricultural and railroad stories relating to this region of the south. 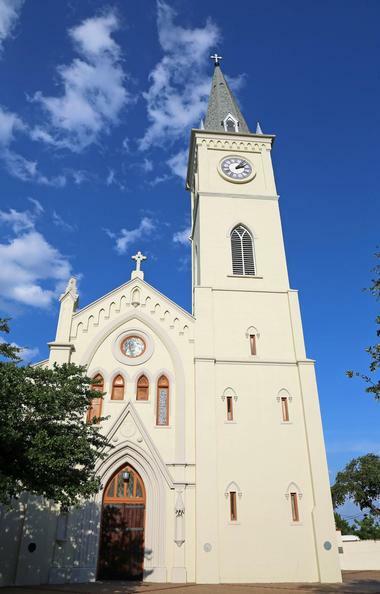 The city is also home to a multicultural assortment of eateries, a number of beautiful parks, excellent art house cinemas, premier shopping centers, and scenic walking trails. While in town, visitors should check out the Arbor Hills Nature Preserve, Historic Downtown Plano, and The Shops at Legacy. Laredo is a charismatic city in south Texas, it’s located along the US/Mexico border. This gorgeous city offers an excellent range of accommodations, exquisite cuisine, and a wide array of cultural activities. 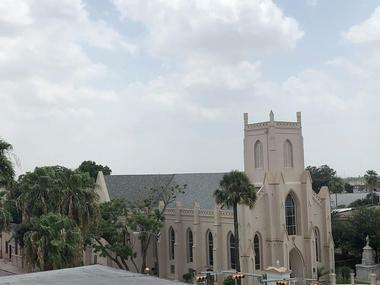 Just a mile off of Interstate Highway 35, Laredo’s downtown region is brimming with worthwhile tourist stops, noteworthy museums, historical landmarks, and renowned architecture. At Los Dos Laredos Park, there’s a bridge that crosses the Rio Grande River into Mexico. The city’s top attractions include the Mall del Norte, San Augustin Plaza, Imaginarium of South Texas, TAMIU Planetarium, and Lake Casa Blanca International State Park. In northwest Texas, travelers will find Lubbock, a charming city known most notably for being the place of birth for Rock ‘n’ Roll legend Buddy Holly. The Buddy Holly Center is a celebration of the iconic artist’s music and life, with many mementos and artifacts of his on display. Not far away is the West Texas Walk of Fame, where a statue of Buddy Holly resides, as well as several plaques honoring various musicians from this region of Texas. Travelers visiting Lubbock for the first time should check out the National Ranching Heritage Center, Silent Wings Museum, Science Spectrum Museum, and Prairie Dog Town. 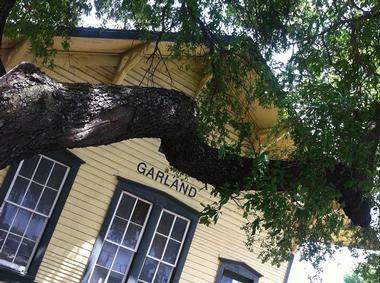 Located approximately 18 miles northeast of Dallas, Texas, Garland is a captivating city along Lake Ray Hubbard. Garland is known for being diverse, vibrant, and filled with all-American, Texan attractions. The city is also recognized for being a major manufacturing hub within the United States, exporting apparel from this region of Texas to countries all over the globe. Garland has more than 2,000 acres of scenic park land, features a number of premier shopping centers, and is home to several popular breweries. Visitors will find plenty to see and do, including taking a trip to White Rock Lake Park, grabbing a pint at Lakewood Brewing Company, or beating the heat at Hawaiian Falls Garland – a waterpark. 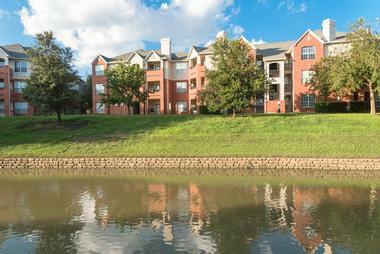 Irving is an attractive city that is located in northeast Texas, it’s situated about 13 miles northwest of Dallas. 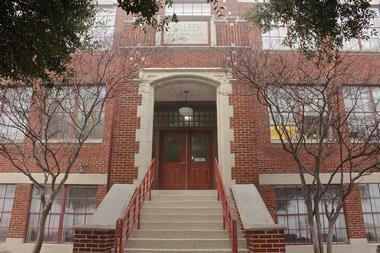 The Irving Arts Center is a popular draw within the city, offering changing art exhibitions, theatre productions, outdoor installations, and live concerts. The city features a number of championship golf courses, high-end shopping centers, exquisite restaurants, and cultural attractions. Robert Glen’s “Mustangs of Las Colinas” sculpture dominates the center of Williams Square; the 9 wild horses seen galloping through the water is quite impressive. Irving is home to a number of fascinating attractions, including the Founder’s Plaza Observation Area, Toyota Music Factory, and Mandalay Canal. Amarillo is a delightful city located in the Texas Panhandle. The city serves as a primary gateway to the extraordinarily vast and trail-lined Palo Duro Canyon State Park. One of Amarillo’s top draws is Cadillac Ranch, where a number of classic Cadillac cars are half-buried in a field and decorated with graffiti art. Visitors will also have the opportunity to check out the historic and iconic Route 66 highway. Amarillo is home to a number of fascinating attractions, some of which include Cowgirls and Cowboys in the West, American Quarter Horse Heritage Center & Museum, Amarillo Botanical Gardens, and Jack Sisemore Traveland RV Museum. Grand Prairie is a welcoming city between the northeast Texas cities of Dallas and Fort Worth. The nearby Joe Pool Lake and Mountain Creek Lake provide excellent opportunities for a number of water activities, including paddle boarding, kayaking, fishing, and swimming. Grand Prairie is home to several picturesque parks for visitors to explore and enjoy, such as Loyd Park at Joe Pool Lake, Estes Park, and Jennifer McFalls Park. The city features a variety of fun and interesting attractions to check out, like the Ripley’s Believe it or Not! 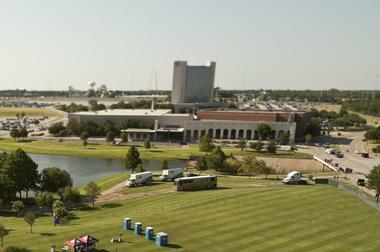 Museum, Grand Prairie Premium Outlets, and Verizon Theatre at Grand Prairie. Brownsville is a beautiful city that is located in the very southern tip of Texas, bordering the Rio Grande River, Mexico, and Gulf of Mexico. Brownsville is a culturally diverse city that offers a plethora of fascinating art galleries, museums, and educational attractions. Visitors looking to explore the outdoors and take in the surrounding scenery should check out the Laguna Atascosa National Wildlife, Brazos Island State Park, and Boca Chica State Park. No Brownsville experience would be complete without a trip to the Gladys Porter Zoo, Palo Alto Battlefield National Historic Site, Children’s Museum of Brownsville, and Sabal Palm Sanctuary. 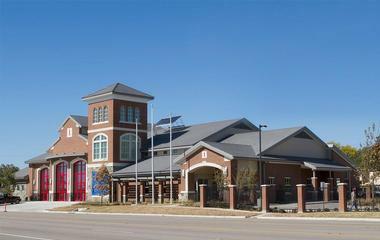 McKinney is a charming city that is situated approximately 35 miles north of downtown Dallas, Texas. 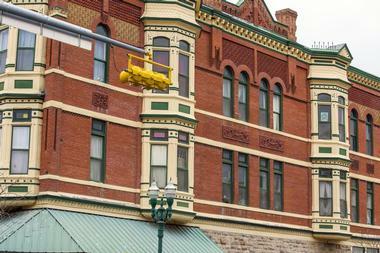 The city features several well-preserved 19th-century buildings in Historic Downtown McKinney. Main Street is lined with several independent shops, restaurants, boutiques, and local craft breweries. It also features cozy cafés, fascinating antique stores, and ice cream parlors. Visitors will have the opportunity to enjoy one of the city’s famous farmer’s markets during the weekends. Travelers making their way into McKinney for the first time should definitely check out the Heard Natural Science Museum & Wildlife Sanctuary, Chestnut Square Historic Village, and the McKinney Performing Arts Center. Frisco is an inviting city in northeast Texas that is between the cool waters of Lewisville Lake and the neighboring city of McKinney. Sports enthusiast will have plenty to keep them busy here; like catching an FC Dallas soccer game at Toyota Stadium, or a Frisco RoughRiders baseball game at Dr. Pepper Ballpark, or ‘watch America’s Team’ (Dallas Cowboys) practice at The Star. When it comes to food, Frisco has it all; from pho to pizza to barbeque to sushi, visitors will have plenty to choose from. 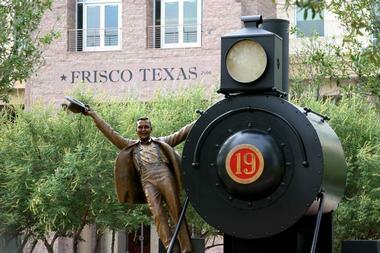 Some of the city’s top attractions include the Texas Sculpture Garden, National Videogame Museum, Frisco Commons Park, and Frisco Heritage Museum. 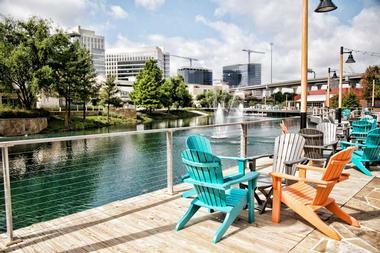 Pasadena is a laid-back city approximately 14 miles southeast of Houston, Texas. The city borders the waters of Trinity, Galveston, and East Bays; providing its locals and visitors with convenient access to fun and exciting water activities, like kayaking, boating, fishing, paddle boarding, swimming, and much more. Visitors looking to get a little more in touch with nature will find Strawberry Park and the Armand Bayou Nature Center quite appealing. 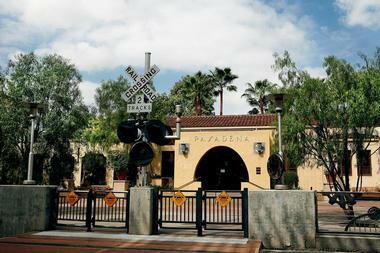 Visitors will also find a number of fun and interesting attractions to enjoy, like Painting With a Twist; and several educational cultural centers, such as the Pasadena Historical Museum. Mesquite is a quaint little city that is located just southeast of Lake Ray Hubbard and east of downtown Dallas, Texas. Lake Ray Hubbard provides its visitors and locals with an idyllic setting for enjoying some outdoor recreation and water activities, such as boating, fishing, wakeboarding, waterskiing, swimming, kayaking, paddle boarding, and much more. The city also features a number of family-friendly and scenic parks, like City Lake Park, Paschall Park, DeBusk Park, and Valley Creek Park. There’s so much to see and do in the city of Mesquite, including the high-energy Mesquite Rodeo, Devil’s Bowl Speedway, Mesquite Arts Center, Public Art in Mesquite, and Celebration Station. Killeen is a smaller, yet wonderfully charming city in Central Texas; the city is known primarily for being home to the Fort Hood military base. The Mayborn Planetarium and Science Theater is one of the city’s top draws; the facility is located within the Central Texas College and provides educational programs for children ages 5-18. There are a slew of outdoor activities available around the city’s large reservoir, including swimming, boating, and fishing; there are also miles of scenic trails and parks available for funning, biking, and walking. 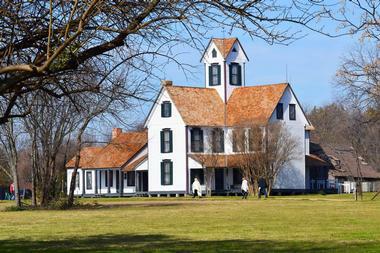 Visitors should also check out the 1st Cavalry Division Museum, Vive Les Arts Theatre, and Lions Club Aquatics Park. McAllen is a culturally diverse city near the southern tip of Texas, about 60 miles northeast of Brownsville. The city’s International Museum of Art & Science features interactive exhibits, European paintings, and Picasso lithographs. To the south, visitors will find the Quinta Mazatlan – a Spanish Revival mansion that is surrounded by natural woodlands that are filled with migratory and endemic species of birds. There are a several green and scenic parks in McAllen, including Los Encinos Park, Springfest Park, and Fireman’s Park. 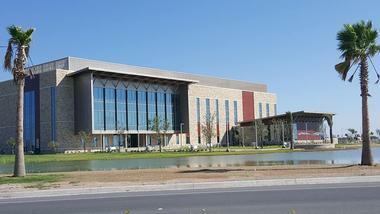 The McAllen Nature Center, Nuevo Santadar Gallery, and La Plaza mall, are all worth a visit. 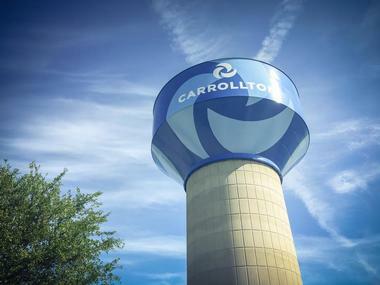 Carrollton is a vibrant city located approximately 20 miles northwest of downtown Dallas, Texas. The historic downtown area is where visitors will have the opportunity to enjoy an authentic Carrollton experience. There’s a charming little square in the heart of town that is accompanied by a gazeebo surrounded by American flags. During the holidays the square features special events, such as the Chocolate Walk. Historic downtown is home to a number of cozy cafés, non-chain restaurants, and adorable little antique shops. Locals recommend a trip to Twisted Root Burger and the candy store, with Babe’s Chicken Dinner House being a ‘can’t miss’ experience. 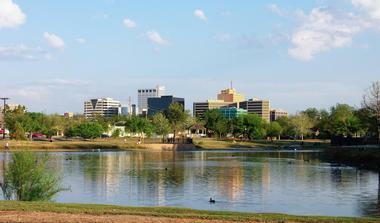 Midland is a captivating city located in west-central Texas, within the Permian Basin area. The city offers a plethora of unique activities and experiences that are sure to leave its visitors with an unforgettable trip. Midland features everything from impressive art galleries to premier shopping centers to educational libraries, historic sites, museums, and picturesque parks. At the Permian Basin Petroleum Museum, visitors can check out interactive exhibits that detail the rich history of oil exploration. Some of the city’s other favorited attractions include the Scharbauer Sports Complex Grande Communications Stadium, I-20 Wildlife Preserve, Wagner Noel Performing Arts Center, and George W. Bush Childhood Home. 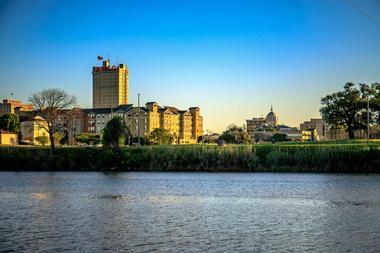 Waco is a charismatic city in central Texas, straddling the winding Brazos River and surrounding Lake Waco. The city started gaining notoriety when Chip and Joanna Gaines’ HGTV Fixer Upper show grew in popularity. Waco provides its locals and visitors with a wonderful selection of restaurants, museums, and scenic natural attractions. 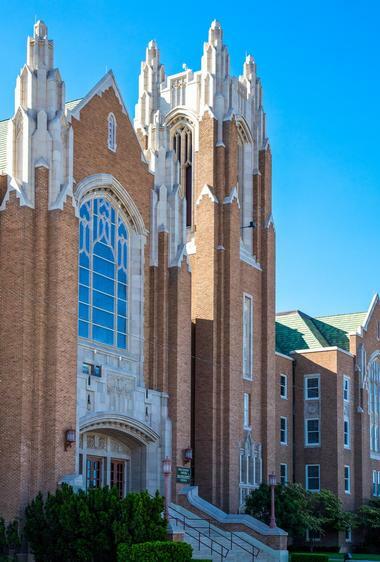 There are a variety of ways for one to entertain themselves in Waco, from perusing the museums at Baylor University to strolling through picturesque parks along Lake Waco’s shores to marveling the heritage homes within the city’s downtown area. Visitors should also check out Cameron Park, Cameron Park Zoo, and the Waco Mammoth National Monument.